The Utah Waste Management and Radiation Control Board enacts policy and rules pertaining to solid waste, hazardous waste, used oil, and underground storage tanks to protect human health and the environment. The Division of Waste Management and Radiation Control and the Division of Environmental Response and Remediation support the Board in this responsibility. 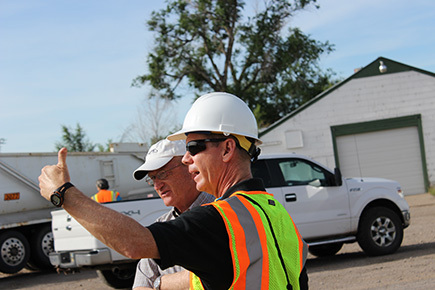 Board members have expertise in and knowledge of solid waste, hazardous waste, used oil and underground storage tanks and represent specific interest, professions, and industries. Board members are appointed by the governor and confirmed by the Senate. Board members serve four-year terms. Regular meetings of the Waste Management and Radiation Control Board are normally scheduled on the second Thursday of each month at 1:30 p.m. in the Utah Department of Environmental Quality Board Room (Conference Room #1015), located in the Multi-Agency State Office Building, 195 North 1950 West, Salt Lake City, Utah. On occasion, Board meetings may be scheduled at other times and other locations or are held in conjunction with field trips as directed by the Board members. One or more Board members may participate telephonically. Agendas and electronic Packets for all upcoming Board meetings are posted 24 hours in advance of the meeting. All agendas are also posted on the Utah Public Notice Website which requires public bodies to post notices for a public meeting. Statutes governing the establishment, authority, and administration of the Waste Management and Radiation Control Board are located in Title 19 of the Utah Code; specifically 19-1-106, 19-3-104, 19-3-107, 19-6-103, 19-6-104, 19-6-105, 19-6-106, and 19-6-108.3.